Simpactful adds to their Diversity & Inclusion expertise with the addition of Diane Cummins. 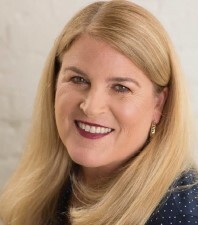 Cummins is a proven and authentic leader with valuable experience in operationalizing inclusion within organizations, enabling all individuals to bring their full selves to work every day. Cummins believes that creating inclusive cultures where individuals want to collaborate and see each other succeed, both as a team and individually, are the keys to everyone feeling valued and therefore contributing their best. “My true passion is focusing on Diversity & Inclusion and I am excited to bring this work to Simpactful clients,” says Cummins. Recently, Cummins led the expansion of LGBTQ affinity groups across P&G’s North American sites. Cummins led North American Pride at P&G taking corporate participation in Pride events across North America to new heights. Pride at P&G began with 5 corporate sites reaching approximately 250 employees. With her leadership, there were 45 North American sites participating in 2017 Pride reaching over 10,000 employees. Cummins is a master at leading multi-functional teams and developing sales and supply chain strategies across a broad range of channels that deliver operational discipline and lead to maximum measurable results. Cummins’ role as Regional Team Supply Chain Leader developed her skills in working across a diverse CPG customer base. Cummins and her team were instrumental in helping P&G find the business case in Diversity & Inclusion. “We were able to create the case for why brands need to get behind the LGBTQ consumer,” explains Cummins, “we laid out how loyal the LGBTQ consumer is and that it doesn’t need to be a large investment to recognize.” From training managers and leaders to create inclusive work environments to operationalizing D&I in business practices, brands are now stepping up and seeing the value in inclusive marketing, talent engagement, and better business practices. “Through intentional and authentic leadership we were able to make some critical changes within the culture where it made it very clear that we valued inclusivity and that was reflected in the team and the marketing,” adds Cummins.